Jon Jones reclaimed the UFC light heavyweight title with a third-round TKO over rival Daniel Cormier in one of the promotion’s most anticipated matchups ever. Jones traded even blows with the shorter, older Cormier throughout the first two rounds before staggering the former Olympic wrestler with a kick and ending his two-year reign atop the division midway through the third round with a frightening number of blows. 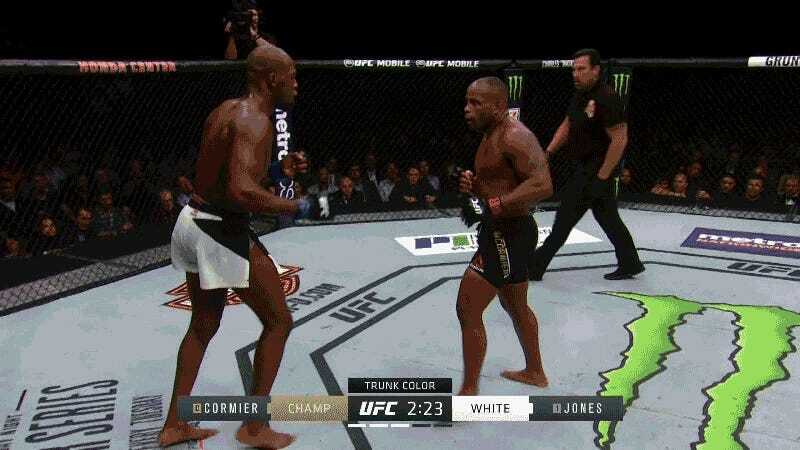 It was Jones’s first bout since returning from a one-year doping ban, and the pair’s first matchup since Jones defeated Cormier by unanimous decision in 2015.